Don’t take on the open road and head out on your adventure with a backseat full or truck bed full of suitcases and bags. You can take all of your items with you and still ride in comfort with one of our 2005-2015 Tacoma roof racks. These racks are designed to allow you more places to store items and you can even find roof racks that will accommodate bikes too. 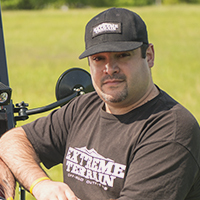 Each one of the roof racks we offer here at ExtremeTerrain is considered to be wind reducing by offering a special cross bar design that allows the wind to flow freely and not get trapped on your items. The racks are able to handle a complete load of 165 pounds and not give in to the pressure you may place it under. Because we know how important your truck is to you, all of the roof rack manufacturers we offer in our online shop have designed their racks with nylon legs that will not scratch or tear up the roof of your Tacoma. While you cannot take anything strapped to the roof rack on a heavy off-road trip, you will find that the racks will hold up on light off-road uses. The racks are also compatible with a number of different accessories that will allow you to get the most out of them. The manufacturers we work with do offer warranties on the racks to help protect your investment. ExtremeTerrain offers you many different options for roof racks and now is the time to shop our collection. We work hard to keep our prices low and we ship all of your products directly to your door.